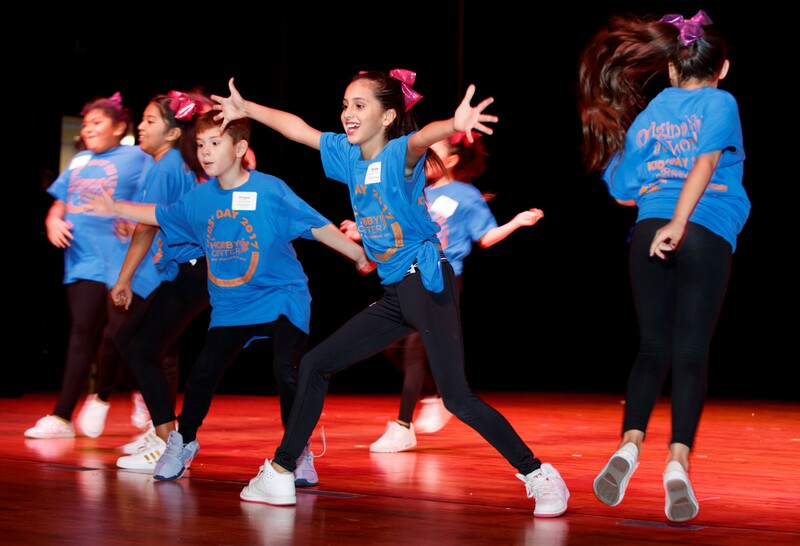 It’s curtain call as students enrolled in summer programs through the Center for Afterschool, Summer and Enrichment for Kids, or CASE for Kids, hit the big stage for Kids’ Day at Hobby Center June 21 at 800 Bagby St. The event begins at 2:30 p.m. for the practice dress rehearsal and the performance for families of students starts at 6:30 p.m. Dancing, singing, drama and drumming instruction are provided to students through afterschool vendors working for CASE for Kids. The event gives students the chance to learn from local professional artists and perform on the iconic stage in downtown Houston. Students are enrolled in elementary, middle and high school summer programs through CASE for Kids. CASE for Kids provides resources, trainings and funding for afterschool programs, serving students in grades pre-k through 12 in afterschool programs in schools, child care facilities and community centers throughout Harris County. The schools include Best and Smith elementary schools and Albright Middle School in Alief; Bammel Middle School in Spring; Garrett Elementary School in Sheldon, Stafford High School in Stafford, Clear Creek Intermediate in Clear Creek, and Francis Elementary in Aldine. Charter school Academy of Accelerated Learning also participates. Fine arts vendors working with CASE for Kids in the summer program include MECA, Ondi Love, Brazilian Arts, Dinky Drum, Savannah Blue, Artist Boat, Puppet Pizzazz, Houston Healthy Hip Hop and Ensemble Theatre. “Hobby Center is a state-of-the art facility, and the staff there allows our students to experience the working theatre and also experience the glitz that accompanies theater and performance,” said Lisa Thompson-Caruthers, CASE for Kids director. “This long-standing, fine arts, summer program helps bring attention to the importance fine arts plays in shaping a well-rounded individual, giving kids exposure to experiences with music, theatre, art and dance,” said Caruthers. Students participating in Kids’ Day at Hobby Center are enrolled in CASE for Kids summer programs through the Texas Education Agency’s Afterschool Centers on Education’s 21st Century Community Learning Center and the Partnership Project. Partnership Project is a collaboration between HCDE, the Houston-Galveston Area Council (HGAC), the Texas Workforce Commission (TWC) and awarded sites. HCDE commits local funds to supplement comprehensive afterschool programming.